What is e-tendering? A tender can be described as an offer to perform some task or supply goods at a fixed price. In the initial step of this tendering process, the contractors are invited to submit sealed bids for construction or for the supply of specific and specifically designed services or goods during a specific timeframe. 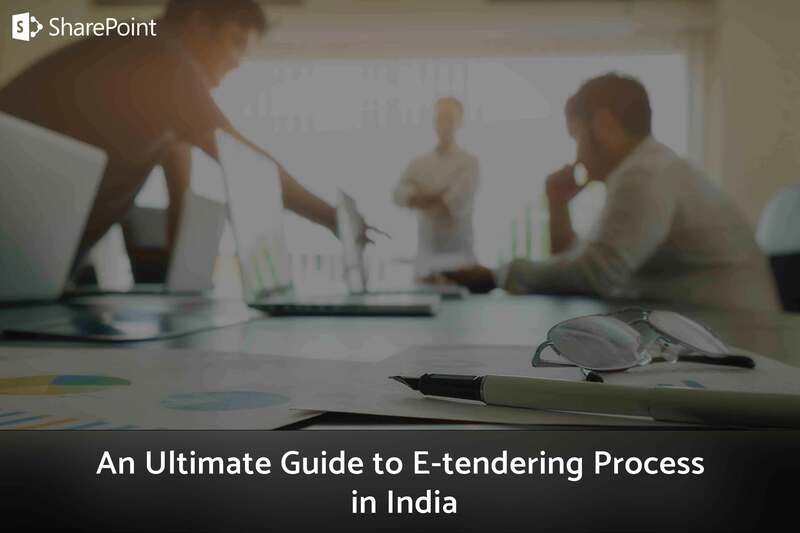 The e-tendering process in India is designed to ensure that the work to be done for the government or a particular client is done in a fair way. For example, certain places may have various procurement policies which guide the government of that place on how to make a decision and which tender to accept. 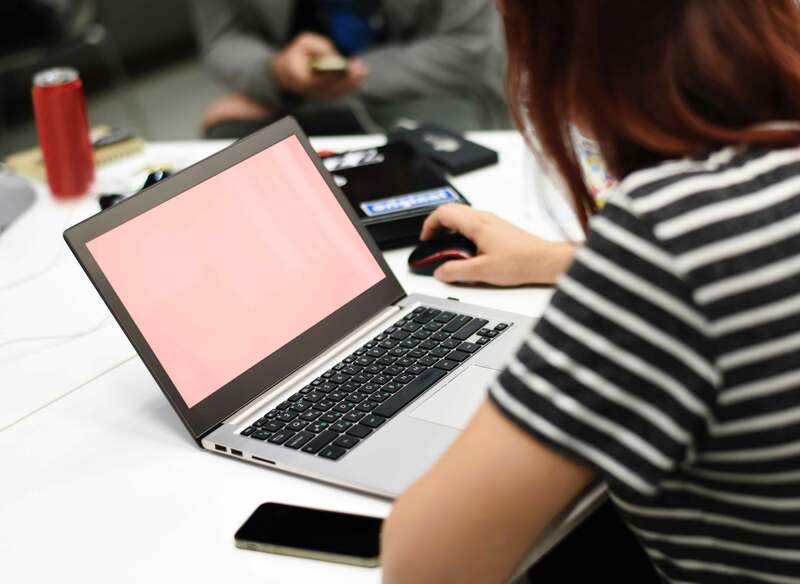 Although as we know an e-tendering process is a very important decision on which tender to bid or accept, it is not the only factor to be taken into account. Once the client/government accepts a tender, it is binding on both parties. This means that the company or a person who has won the tender has to provide goods and services in the manner agreed to and at the price offered and the client will have to pay the agreed price in the agreed time. Once accepted tender is a binding contract. The process of tendering involved some kind of complicated procedures and processes unlike with the help of an eProcurement software. Before any tendering process can be done, a professional team must be ready with all the tendering documents checked and approved. The source of funding must also be available and the project financing should be put in place. The processes in the subsequent stages should be established with the express consent of the employer to ensure the online tendering process will go smoothly. The type of tendering an employer must go with depends purely on the nature of the contract, the complexity in the construction, the expertise needed and various other reasons. The government projects are usually made open tenders in order to ensure that the procurement and works to be done in a fair manner without prejudice. The various types of tenders generally used are: open tender, selective tender, negotiated tender, serial tender and term tendering. Open tendering is the main tendering procedure employed by both the private sector and the government. The client advertises the tender offers in the local newspaper along with the key information of the proposed works and inviting interested contractors. The tender notification includes an invitation to treat, a mere request by the employer for a suitable contract to submit their bids or offers. Selective tendering is the one alternative developed to address the limitation of the open tendering procedure. Here a short list of contractors is drawn up and they are invited to submit tenders. The purpose of this tender is to improve the quality of bids received to ensure that the contractors with necessary experience are given a chance to submit the necessary bids for the specific reason of the employer. This makes the e-tendering process in India more manageable and less burden for the parties involved. This type of tendering is widely used in the engineering and construction industry commencing from tendering until the resolutions of the disputes, which comes under the pre-contract negotiations and the post-contract negotiations. Usually, a single contractor is included but can be scaled into 3 contractors. Term tendering is normally used on projects that need huge maintenance. The contractor will be asked to cover a range of different buildings in different locations. It is often limited to a fixed time scale although the needs of the client may require this to be extended. This is generally a standing offer to undertake a loosely defined extends of work usually within a fixed amount of time. • Request for information (RFI)- used in the planning stage to help in defining the project however not used to select suppliers. • Request for proposal (RFP)-used where the project requirements have been defined, but an innovative and flexible solution is required. • Request for tender-an invitation to tender by public advertisement open to all suppliers. • Description of the good and services to be procured: this includes what the work will involve, any technical specifications and anything related to the requirement, deliverables or outcomes of the project. • Conditions of tender: These consist of the terms and conditions that must be met in order to be considered for the project. • Evaluation criteria: This outlines how your tender submission will be assessed and evaluated. This is then used as a guide when preparing your tender submission. • Submission content and format: includes the details on how you should present your submission which may be relating to the length of the submission, its format, presentation etc. Templates or response forms may also be provided. • Process rules and information: the deadline for submission, the place and time for its submission, what the submission must include etc are what this consist of. • Conditions of contract: this includes the standard terms and conditions of the contract with additions and alterations made while a winning tender is announced. The tenders are invited as a part of the online tender submission procedure depending on the value, complexity and business category. Your ability to identify opportunities in the competitive tender market Is a crucial part of achieving success. The initial step to online tender submission procedure is to find out the organizations or Govt agencies that are likely to need your product or services. Registering with tender information service providing website can be another great way to keep track of what opportunities are available in the tender market. Tender advisory services and online information systems are a great place to begin your research. • Submit the prepared response in the right format on time and at the right place. Each tender will be checked for compliance and then evaluated across the criteria specified in the tender documentation. The tender, which offers the best value for money, will win the business. Each tender will be initially assessed to find out if it complies with all requirements of the tender document, i.e. • Tender meets all mandatory requirements. If any tender does not meet this initial check they will be excluded. Hence, it is important to ensure that you adhere to requirements and meet all criteria in order to increase the chances of winning the tender. Once the evaluation process is complete, a tenderer will be selected and notified of their successful tender and others, of the unsuccessful submissions. When a contract has been awarded, the successful tenderer will be advised in writing of the outcome and the unsuccessful tenderer’s are advised a debriefing interview. Generally, a formal agreement will be required between the successful tenderer and the relevant agency. Once you are notified of the success of your tender and have awarded the contract, it is important to meet all requirements and manage the contract effectively. It is important to maintain ongoing and open communication with the contracting organization so that you can build a strong and sustainable relationship. Companies are usually more willing to work and the contract will other organization that they have trust and are familiar with. If they are confident using the services of your business, then there are more chances for them to choose you over the other competitors. 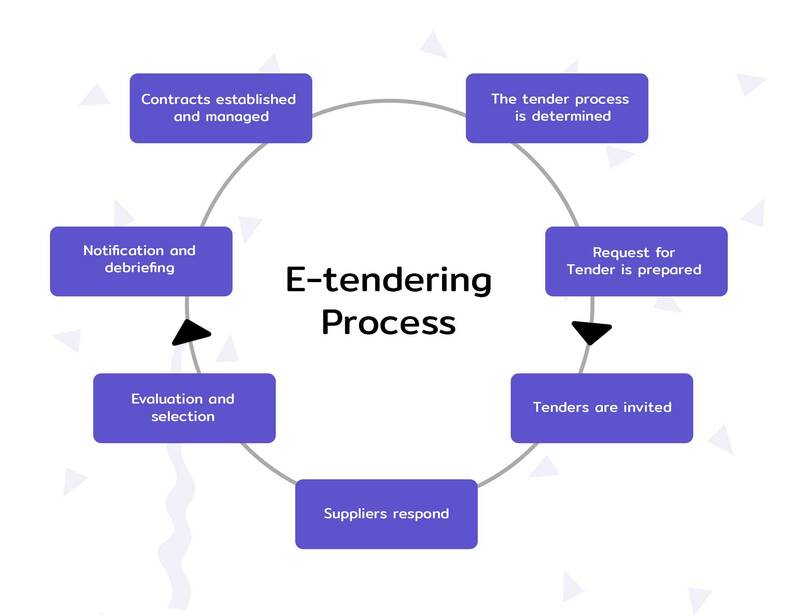 Tender Management systems are basically filing mechanism that enables buyers and suppliers to audit and re-examine the bid documentation, alongside the inquiries and answers that have been submitted in connection to the bid. We have seen that public sector buyers often re-tender, they have forgotten the lessons learned from past tenders and the results end in a tender notice which brings you to the square one and doesn’t respond to the needs of the authority. — Improve on the results of past tenders. — Remind buyers of solutions that were previously handled by bidders, providing them ideas for necessities for “added value” when they re-tender for the same or comparative contracts. — Give purchasers an idea about methodological and innovative changes recommended by past bidders, which might be of more importance now. — Help buyers compose the new tender specifications, thus prompting to a smart contract. Normally, every project would have a tender manager to oversee all the progress happening within the project. They ensure all the documentation are in order and the inquiries from the competitors are answered promptly. Generally, a tender management system provides a focal, secure, online solution that simplifies and computerizes some of the time-consuming processes associated with making and issuing calls for competition and overseeing tender responses. Aufait’s tender management solution is enriched with features and covers all aspects of the tendering process from authorizing, notification, pre-qualification and issuing of invitations to tenders to the evaluation of responses and honor of the contract and even contract management. Having such a complete solution enables you to essentially reduce both the preparing expense of procurement and the timescales for tenders. The current procurement regulation allows the suppliers to challenge in case they believe they have been treated unfairly during the tendering process. Even if it is unsuccessful, such a challenge can be time-consuming as it slows down the contract process. — At the tender stage ensure that you don’t change the honor criteria or weightings in the wake of getting offers. Nowadays large companies usually have to handle more than one procurement needs by applying different kinds of information systems developed by various suppliers. This will become cumbersome and inevitably long in the conventional tendering system. In order to realize better costing and increase efficiency, replacing the manual paper-based tender procedure with the electronic facilitated system has become an essential element in the process re-engineering. With an e-tendering system that is highly automated, tender specification, tender advertising, tender aggregation as well as the evaluation and placing of the contract can be prepared with ease. Aufait offers a scope of robust, effective, consistent solution which empowers you to connect with customers, organize complex collaborative projects, distribute your notification, oversee your clarification, assess your response and honor your contracts. Aufait is a SharePoint development company offering e-Tendering, Procurement management, performance management software etc leveraging SharePoint technology. If you would like to learn more, contact us today. useful for us fresher into India market. and aim to the construction contractor. tender for biding projection. I think the supporter from you platform will bring us on our way efficiently. win-win work. Thank u!